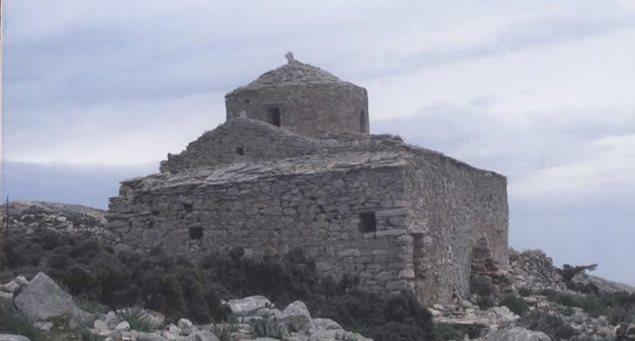 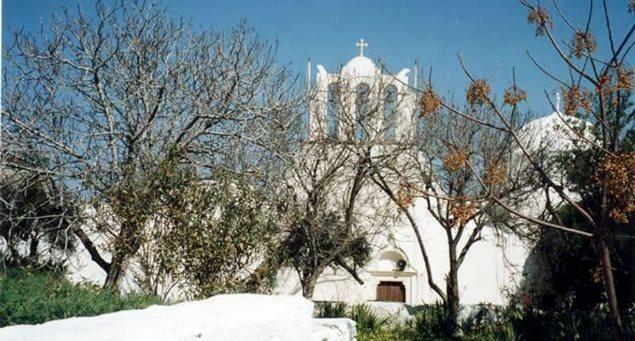 Νaxos’s prominent position in the Aegean Sea during Byzantine times (6th-15th centuries) is indicated by the large number of churches that date to this period and which is not rivaled by any other island in the region. 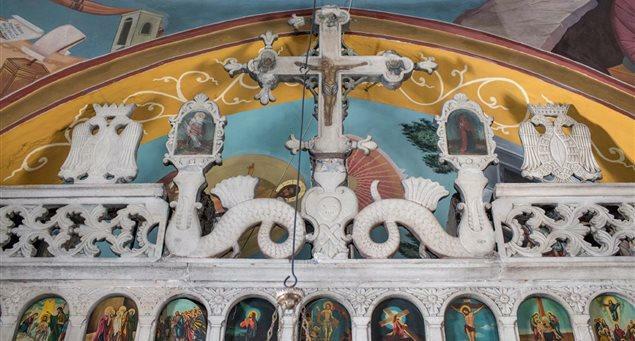 The number of churches with frescoes is estimated at around 120 — out of a probable initial total of about 200 — including those with iconography that has been found to have been whitewashed up to five times. 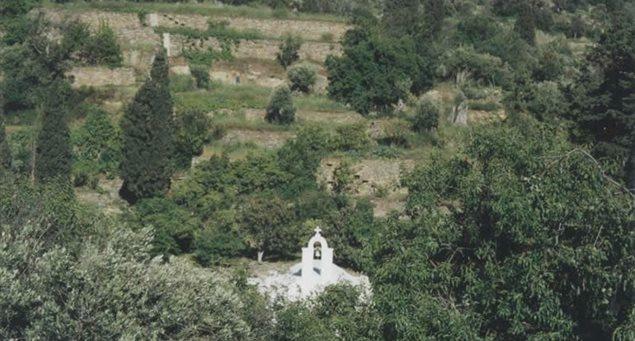 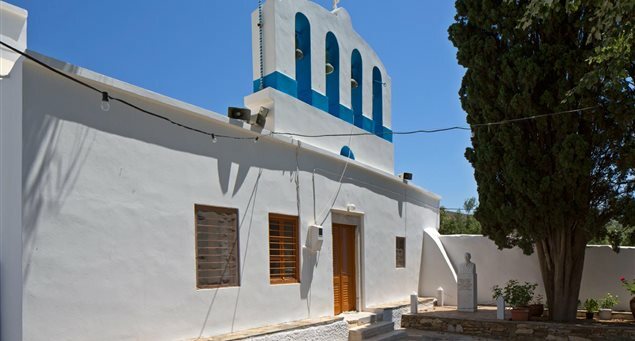 The Byzantine churches are dispersed throughout the island but with greater density in the valleys, such as in the Sagri area – where the early Byzantine fort of Apaliros has a commanding presence and the central basin of Tragea, where the mid-Byzantine Church of Panagia (Virgin Mary) Protothroni has been in uninterrupted service to this day. 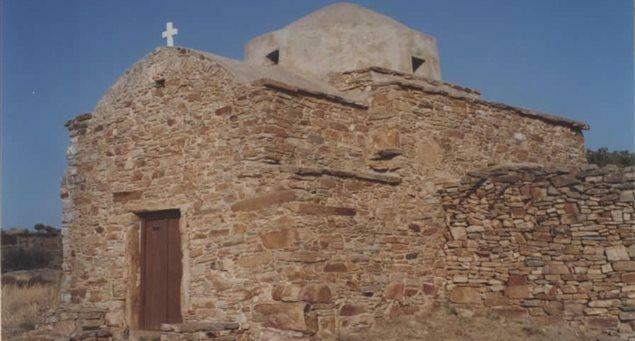 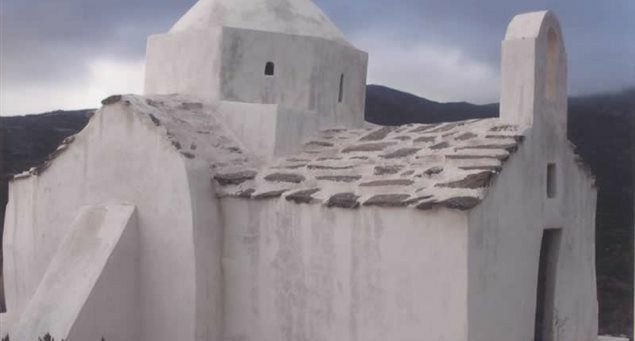 The architecture of Naxos’s Byzantine churches comes in mainly three styles: the three-aisle basilica (to which most churches belong), the free cruciform (about 12) and the circumscribed cruciform (five or six of great importance). 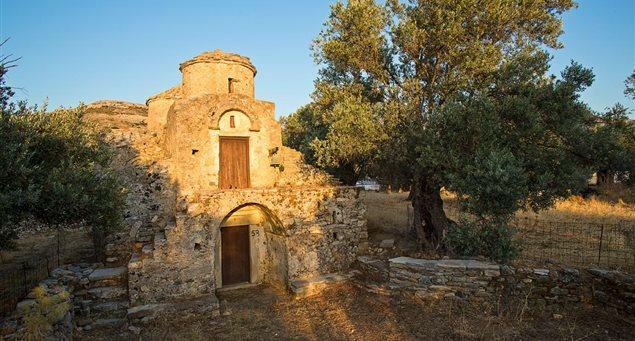 There are also arched roof and mausoleum-type churches, single-aisle basilicas – with or without a dome – and a “three-in-one” architectural marvel with multiple domes, Panagia Drossiani in Tragea. 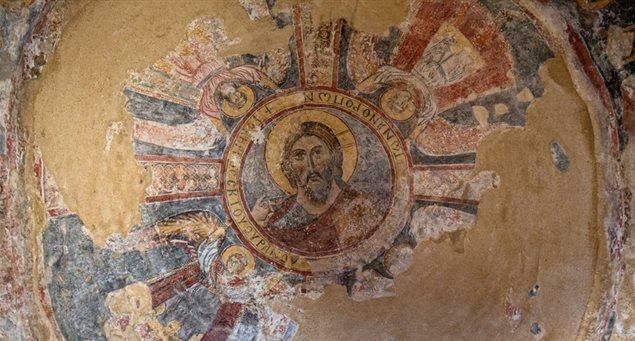 Many Byzantine churches lay abandoned for a long time and an inestimable number of frescoes are thought to have been lost due to dampness and erosion. 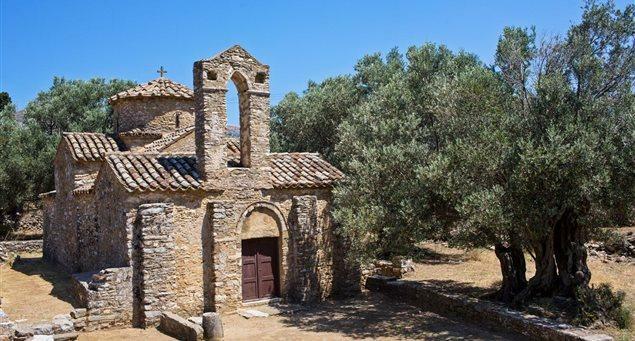 In the last 50 years or so, however, the archaeological service has carried out a vast amount of restoration and maintenance work.